The work I do spans the globe, which always amazes me from where I have come from. Starting my career in the early 90's, where my work came from within a 30-mile radius, to working for people in almost every state and every continent. This project, the 20 Penniman Loft renderings, is in Boston. I visit my projects site using Google maps and this project is really going to boost the neighborhood. 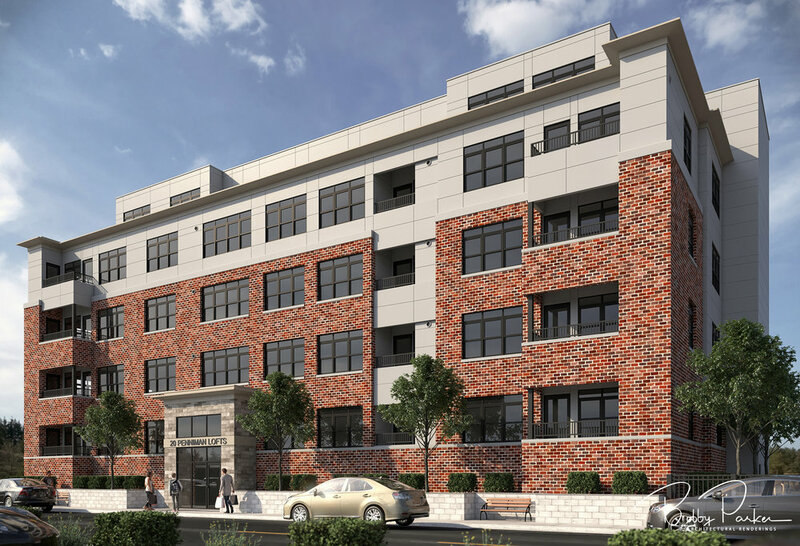 The building is under construction, but is months away from being ready for occupancy, so they need renderings to start their marketing campaigns. I don't think they'll have a problem filling these units up, hopfully crediting my work.